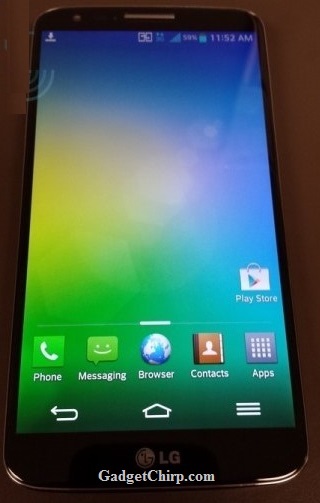 Pictures and video of the LG Optimus G2 is leaked now, just few weeks before the official announcement of the device at an event on August 7. Looking at the images leaked, it seems that LG has relied on the design very similar to the previous Optimus G with the introduction of simple adjustments by adding dual speakers . Looking at the leaks of LG Optimus G2 provided by the Engadget, the specifications of LG Optimus G2 as follows. - Qualcomm Snapdragon chip 800 2.3 GHz Quad-core Processor, which is the very same processor used in the Galaxy S4 LTE. Usually the leaked images and specifications of the smartphones are correct. But we will still would like to wait till the LG press meet and official launching of the device to know the exact specifications and features of the LG Optimus G2.